Dr. DuCoin and his skilled and friendly staff members make your dental visit as comfortable and pleasant as possible. We know that enjoying good dental health can help you lead a longer, healthier life. From maintaining your healthy smile, to giving you a beautiful new smile we are happy to help. Contact us by e-mail by clicking here for answers to any dental questions or call 772-287-6159 for a free consultation appointment. 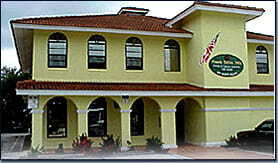 We are located in Stuart, FL and welcome new patients.